Stylist Amanda Ross has an eye for the unexpected—a skill she’s employed as a trend-spotter for W Hotels, a much sought-after celebrity stylist, Fashion Director at Departures, Market Director at Harper’s Bazaar, and a style consultant and costume designer for film and television. She’s also an avid traveler, and I checked in with her after her recent trip to India to see what she’d discovered. I followed your trip to India on Instagram (@arossgirl) and the pictures were just beautiful. Tell me about what took you there. I went to India specifically to work on an amethyst collection, collaborating with Gemfields and Sanjay Kasliwal of Gem Palace. It was my first trip and I hope the first of many. I went to Delhi and travelled throughout Rajasthan, Jaipur, Jodhpur, and Udaipur. 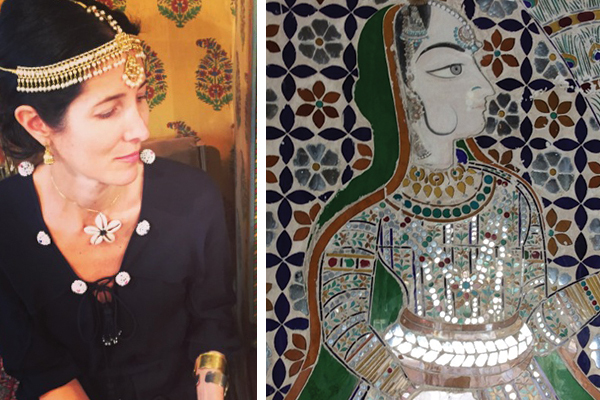 India's textiles and jewelry are incredible; have you seen anything you can't live without? India for the first time is a sensory overload in the best sense. For an editor like myself, it was the greatest gift to be thrown into a giant sea of color, artisanal warehouses and shops, and to find amazing treasures. 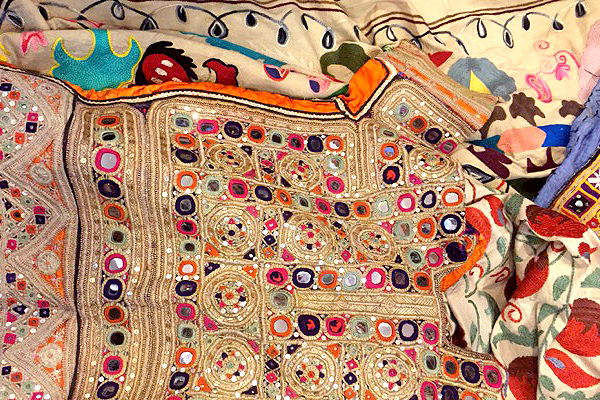 I fell in love with the people I met, and the textiles and clothing, especially from Gujarat. Has the trip influenced the way you style? I have been mixing indigenous finds and artisanal crafts and jewelry with my city wardrobe for years. It’s always inspiring to add new countries and local finds to my wardrobe. My new favorite go-tos are a jacket and top I made from a Gujarati dress. How important is travel to your creative process? It is like food and water to plants. I love to learn, connect with other cultures, and see how people live around the world. I’m not one of those people satisfied with just reading the book; I have a voracious curiosity and love starting off the new year with a city and country “To Do” list. When I moved recently I found an autobiography I wrote when I was 11. The chapter titled “Future” contained plans to travel the world or open a boutique with my twin sister and call it the “TwinBoutique.” My business with my twin sis is next. What are your favorite three cities for shopping for accessories? You served as the Global Fashion Director to W Hotels. What was the most challenging or exciting thing about that position? I think working on a large global scale was both exciting and daunting. It was interesting to take what I had learned in publishing and translate it to a larger medium and audience, and it was rewarding to give worldwide exposure to designers I found in Bangkok. You spent a few years as the Market Director at Harper's Bazaar and have worked as a stylist in the entertainment industry. How has the role of stylist changed since you first started working? When I started working, the industry was much smaller and functioned like a private club: You had to be invited. Our landscape has evolved and changed to include many more players due to digital space, social media, and the celebrities who play a large role in driving newsstand and brand sales. What advice would you give to someone who's interested in becoming a stylist? Read and do research! Books from the great editors: Diana Vreeland, Liz Tilberis, Grace Mirabella. Read about some of the designers who were pivotal to our industry: Christian Dior, Yves Saint Laurent, and Coco Chanel. Read insider industry papers, BOF and WWD. Take internships at magazines and brands. You will learn what you do and don’t want, as well as begin to see what you are attracted to and good at. Trust your instincts and find confidence in them. Style is instinctive. Find something you love to do and get paid for it.